A teenager in Texas was sentenced to 30 years in prison after pleading guilty to the shooting of his stepfather in Temple. The teen, who wasn’t identified due to his age, was convicted in the death of 31-year-old Josh Colby Mitchell. The teen, who is now 16, could have been sentenced to 40 years, but the Bell County Attorney’s office gave a recommendation of 10 to 30 years in prison, TDT News reported. The teen was reportedly locked outside of his parents’ house five days a week while they were working. He had also stolen $2,000 from the family, and because of that, he was forced to stay outside while the parents were gone from 7:45 a.m. to 5:30 p.m., according to Dearly. The teen was given a sandwich and a cup of water to refill with a hose. 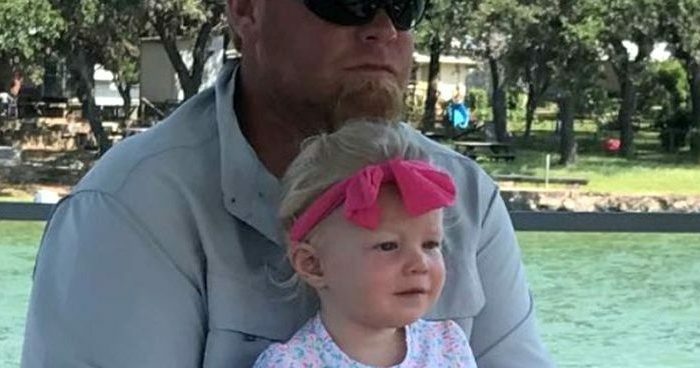 Mitchell and his wife, Dana Mitchell, had a toddler together and were expecting another child. Mitchell also told the child that he couldn’t join the high school band and spanked him with a belt for failing to clean up a mess. On Aug. 2, the teen broke into the house, grabbing a handgun before staying inside all day before his stepfather got home. When his stepfather returned, he went outside and asked if he could go inside for a glass of water. As Mitchell exited the shower, he shot him three times, according to the report. Dana Mitchell found her husband’s body inside the home. A GoFundMe page describes Josh Colby Mitchell, 31, as a “very loving husband and father but a brother as well.” It said that he was “murdered in his home by a 15-year-old,” the page says.